Wanted some advice from you people if possible. - battery seemed like it was giving up after 5yrs (normal); stopped getting the ECO option, the hill-hold stopped working. - got a P0128 error. Had my mechanic check it out, we decided to clear it and see if it happens again, since I had read that a low battery could affect thermostat operation. - replaced battery in the meantime. - I kept an eye on the temp gauge, everytime I drive it. Noticed the temperature rising from cold, then say when it hits 60, it would go down to low again, then hit 80 maybe, and down to 40, and keep oscillating until eventually it would reach normal operating temp. It would then stay there, maybe maybe, go down to 80 again on occasion. But it would take a long time to stabilise in the first place. Never got the P0128 error again though. 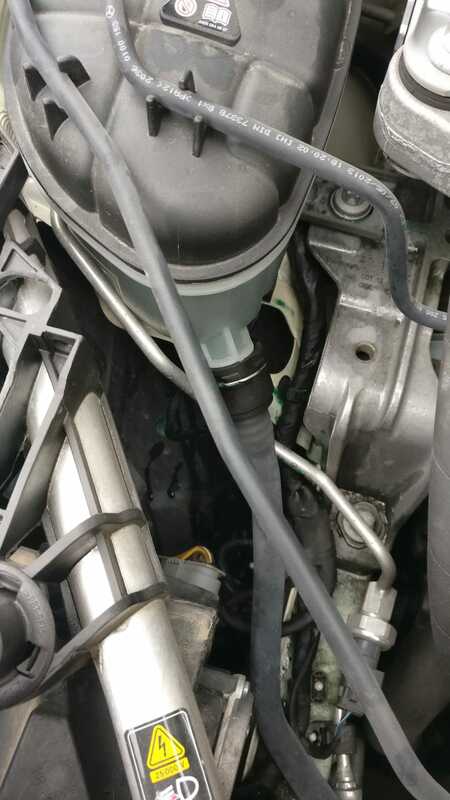 - Then I started getting a 'top up coolant' msg. I thought the thermostat is leaking. However, I had a look at the coolant tank, seems like there is residue just below it. I'm topping up with some water, but keeps lowering. I'm guessing it has got nothing to do with the other issue. Some pics attached. 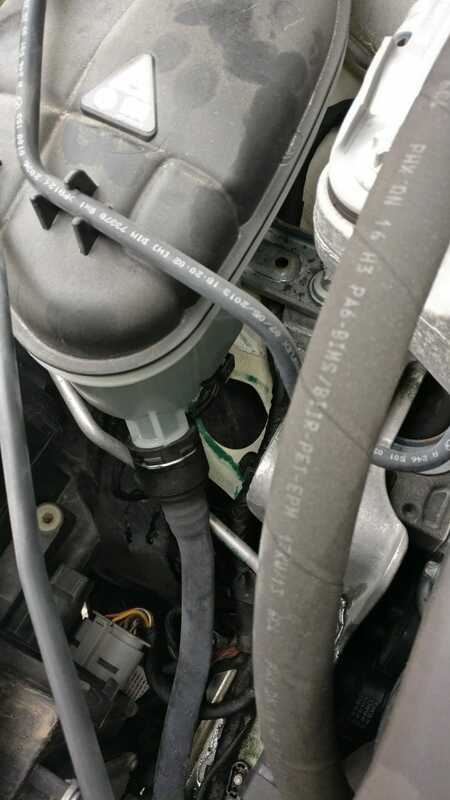 Some people were having issue where the coolant resubmit was getting a hairline crack an leaking. This looks to be what you have possibly. so basically just dismantle the coolant tank, check for hairline cracks, patch it up if there are any, and reassemble. what about the thermostat issue? just today, I had a good 40min drive on some open roads (as open as they get in Malta that is!!). Temperature stuck for a long time on 60, and never really settled on operating temp - kept mostly between 80 and 85. I've experienced the exact same situations like you described about 2 months ago, warm-up till 80 is fine, but it really having hard time in going up further, and the thermostat feel like opening at around 70"C instead of 100"C. If I jump into the highway immediately right after started the car in cold, then P0128 will most likely be triggered. Even if it can reach the operating temperature, if there is downhill and just let it rolls, the temperature will probably drop below 80"C and took really long time to get it back to normal. Finally I decided to replace the thermostat in shop 2 weeks ago and now everything back to normal! BTW, the car is just 2016. Yes that's exactly it, when I let it roll, temp would go down. No highways here in Malta, so that's probably why I never got the P0128 again. Thanks for confirming that replacing thermostat seems to have solved everything. So, first I'll have the coolant tank dismantled and patched up. Then I'll have the thermostat replaced, since that would mean emptying the coolant and refilling with new. thanks again both of you for your precious help! Thanks for the tip too. Yes you are right I guess, and a tank shouldn't break the bank financially. So defo makes sense. I'll get the new thermostat as well...need to solve that issue. 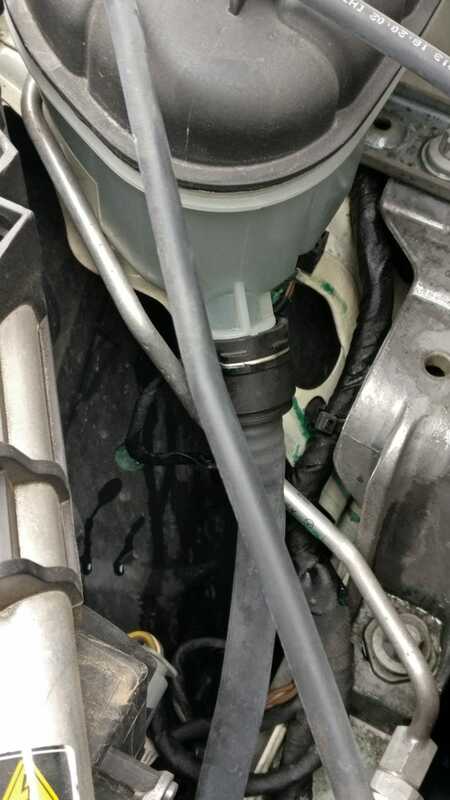 Check Coolant Msg - Is this enough Coolant?